Law Offices of Samuel Gregory, P.C. Samuel Gregory is a name that commands respect in the State and Federal Courts in New York and New Jersey. Formerly of Lazzaro and Gregory, Sam and his infrastructure of support staff are now practicing criminal defense and civil litigation in their new Brooklyn law firm. With more than twenty years of legal experience, Sam is able to help a diverse array of clients. In addition to criminal defense work, his office is also concentrating on civil rights litigation, corporate fraud and other white-collar issues. His reputation as a well-prepared, aggressive, and passionate advocate is serving him well as he handles both criminal and civil matters. He invites you to come in for a free consultation to discuss how he can put that experience to work for you. 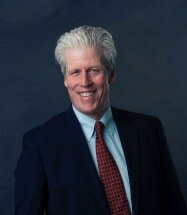 Sam began his career at the Legal Aid Society in 1984. As a result of his remarkable success there, Sam was promoted to be the major offense attorney in Brooklyn, where for four years he handled only clients facing life sentences. Sam's success in private practice has been noteworthy as well. In 1995, he was among the first lawyers in the State to be certified to handle death penalty cases; in fact, after the re-instatement of the death penalty, he won the first acquittal in New York City in a first degree murder case. Sam has extensive experience in Federal trials, has argued before the Second Circuit Court of Appeals, and has appeared on CNN, MSNBC, and Court TV as a legal analyst. In addition to his legal practice, Sam is a law professor at St. John's University and a regular lecturer at Brooklyn Law School and the New York Law school. He has also been invited to speak at the Brooklyn Criminal Bar Association and the Kings County District Attorney's Office.